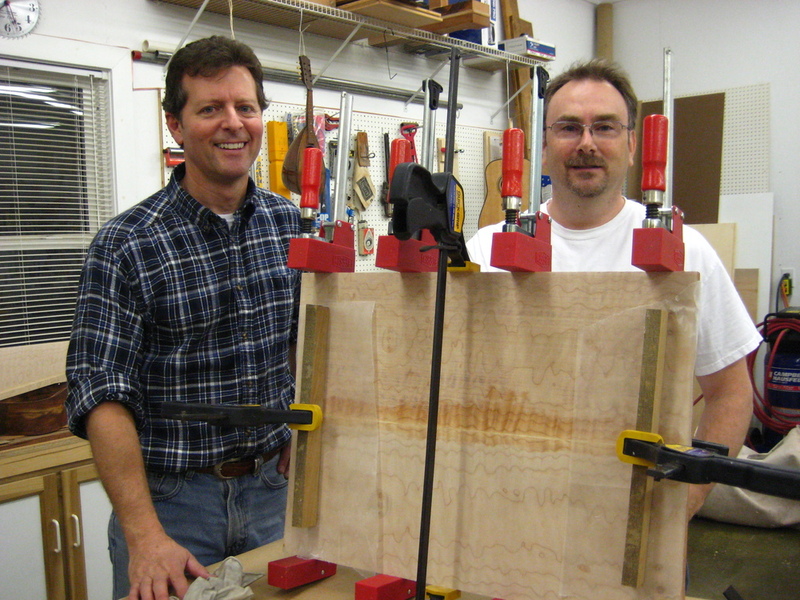 An introduction to luthier Terry Fritz and his guitar making classes. We are filling spots for our 2017 and 2018 Build Class seasons! 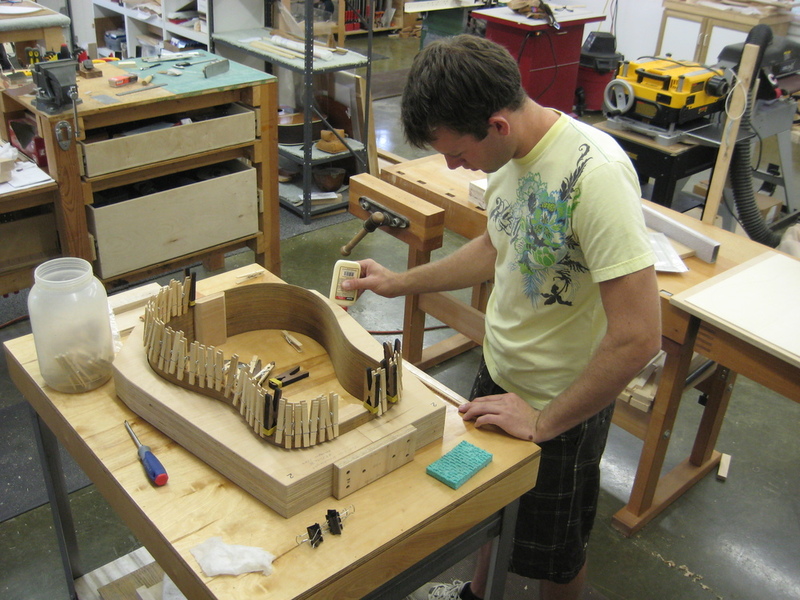 If you'd like to build your own guitar, now is the time! Join us in the shop for a week of hands-on learning culminating in the magic of stringing up and playing your very own creation. Read on to see our schedule, Frequently Asked Questions, and photos from past classes! Find YOUR perfect setup by learning the principles and techniques used by professional luthiers: making neck adjustments, setting action and intonation, maintaining electronics and safe cleaning methods for different types of finishes. Bring along your electric guitar or bass for a complete hands-on lesson and become your own guitar tech! Seven-day class encompassing the steel string build process. Students experience all aspects of Dreadnought construction including side bending, brace carving, fretting, final setup and more. Construct your very own Dreadnought, the most widely played guitar in the world. Materials and tools provided. A non-refundable $500 deposit is required to reserve a space. Find YOUR perfect setup by learning the principles and techniques used by professional luthiers: making neck adjustments, setting action and intonation, maintaining electronics and safe cleaning methods for different types of finishes. Bring along your electric guitar for a complete hands-on lesson and become your own guitar tech! Seven day class encompassing the solid body electric build process. 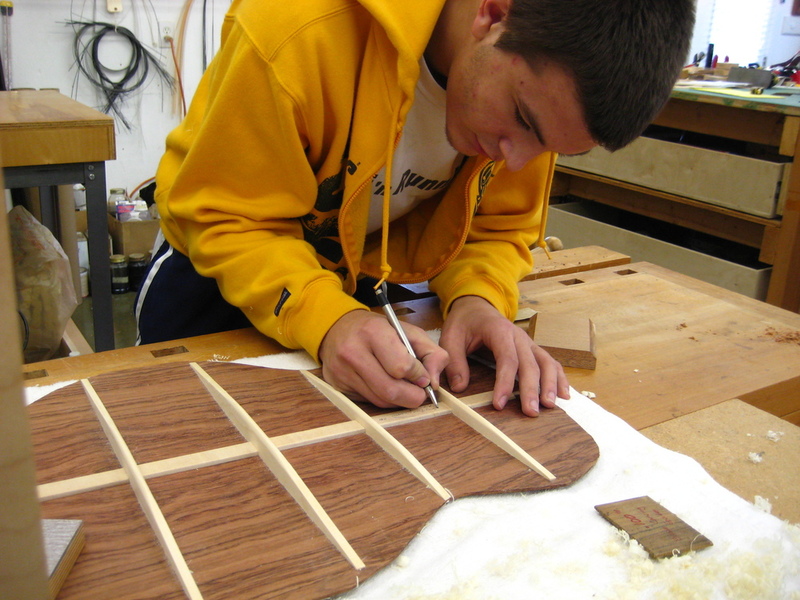 Students build their bodies and necks from scratch and experience all aspects of the woodwork, fretting, wiring and set up that goes into crafting a quality electric guitar that sounds and plays great. Materials and tools provided. A non-refundable $500 deposit is required to reserve a space. Seven day class encompassing the steel string build process. Materials and tools are provided. Students finish the class with their guitars strung up 'in the white' (without finish). 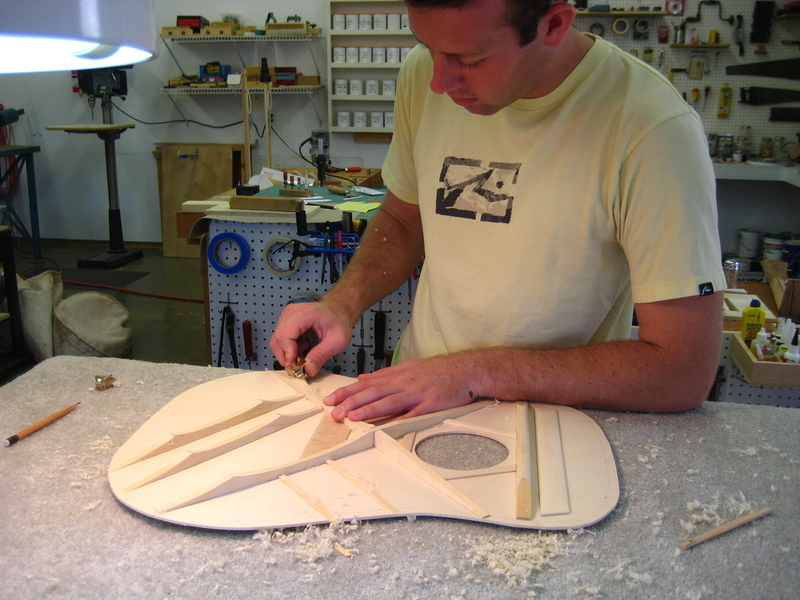 Finishing techniques are covered in the class and students routinely apply their own high quality finishes at home (or Fritz Guitars offers finishing separately in the weeks following the class). A non-refundable $500 deposit is required to reserve a space. For more information or with any questions please Contact Us. Do I need any woodworking experience? Absolutely not! People of various experience and ability levels have had success in our build classes. Each step of the process is clearly outlined and demonstrated prior to students completing it, and our shop is equipped with top of the line tools and safety equipment. Avoiding injuries and mistakes is central to our curriculum, and students are often surprised to find that under the right guidance, professional-level work can be achieved. Is there an age requirement to enroll? Students must be a minimum age of 18 years old to enroll in our build classes, although younger students are encouraged attend our guitar setup/care classes. There is no upper age limit and our classes have been popular with college students, working professionals, and retirees alike. 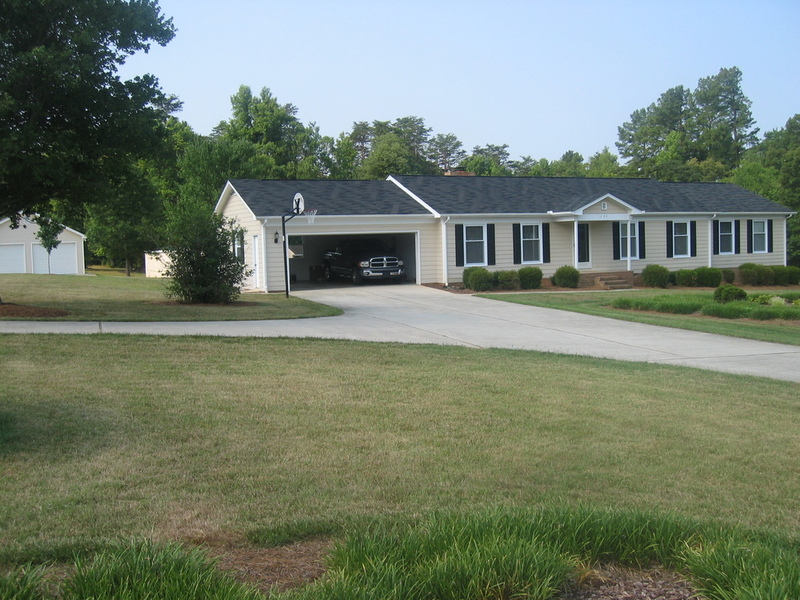 Our one day seminars are perfect for those local to the Greensboro area, and our one week build classes are designed to fit the busy lives of students who frequently travel long distances to build with us!